have you ever been troubled by losing important data? Do you know it is possible to recover deleted files from hard drive? Today, I Am Going To Teach You How to recover deleted files from hard disk. From This Post you will learn, A Easy ways to recover deleted files . First please remember when data loss happens, you'd better to stop using your Computer. Every time You write new data to the hard drive ,You lower the chance of a Successful recovery. so, use that computer as little as possible until the fill are recovered. 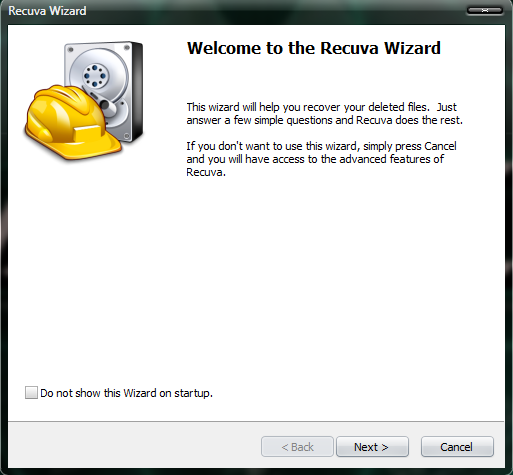 for this purpose you required to download and install recuva recovery software on your computer. You Can Download This From Its official website click here. 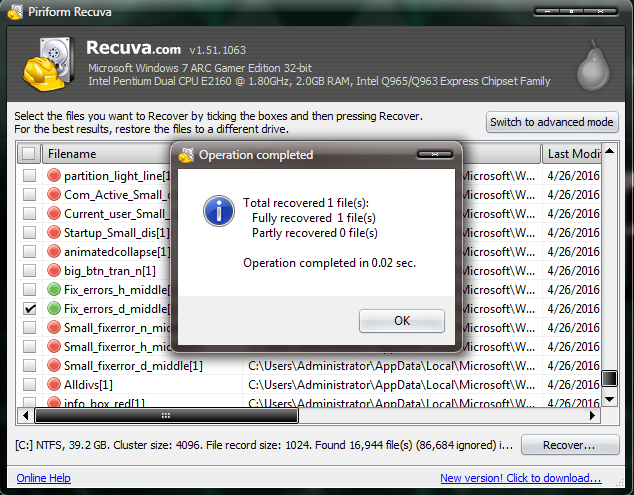 So, here I am using windows 7 ultimate and recuva software for file recovery. On the Welcome to the Recuva Wizard page, click Next. 3. 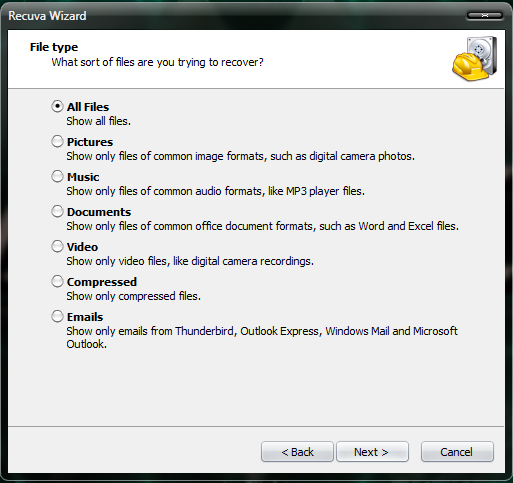 On the File Type page, select the type of files you want to recover, then click Next. If you're not sure what type of files you're looking for, select Other. 5. On the Thank You page, you can optionally choose to run a deep scan(For Better Scan). 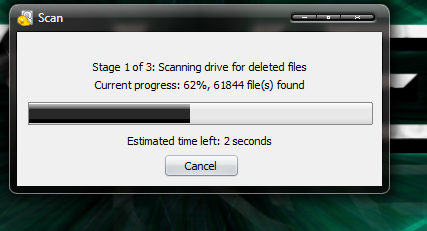 This advanced scan can take several hours, but has a better chance of finding your files. 6. Progress bar Showing Estimate Time. 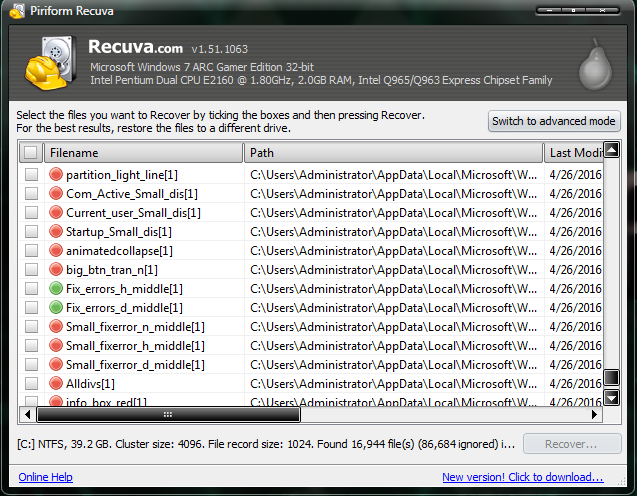 7.And then recuva shows its search results in the main window. here green dot in the beginning of files name means recovery is possible of that file and red dot means recovery is not possible of that file. 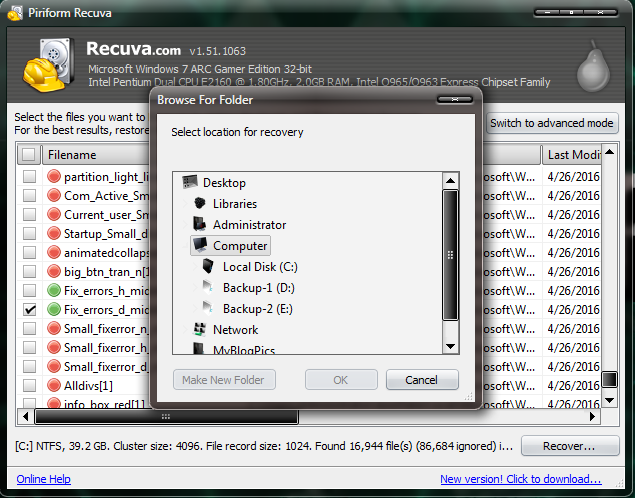 8. select the files you want to recover. The easiest way is to go through them and click the check boxes for the files you want. 9. 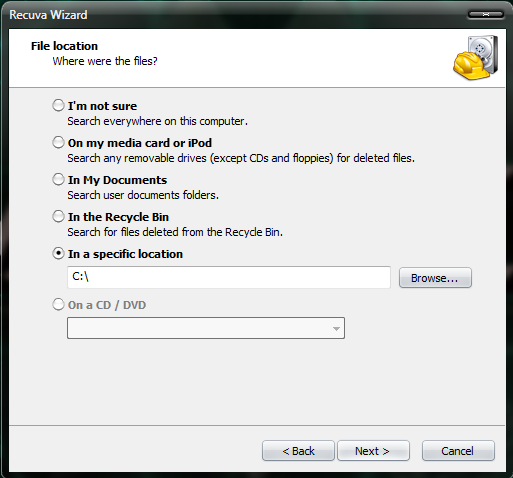 Select a destination for the recovered files (ideally, on another drive). Click OK.
10. Recovery process is completed. Now, Your File is recovered. Note: - If Recuva did not locate the files you were seeking, close Recuva and run Steps 1 to 10 again. On the Thank You page, select Enable Deep Scan and then click Start. This advanced scan will take much longer (possibly, hours).